Alabama Canine - Elite Working Line German Shepherds. We are a small breeding program for quality working line German Shepherds. Our breeding stock is hand-selected and tested for the highest standards of the breed. We health test hips, elbows and spines on every breeder German Shepherd dog at this facility. The work is tested for grips, strong nerves, and extreme drives on every breeder with emphasis on our breeding females as well as our stud dogs. Stud dogs are selected by proven results and not podium scores. Our philosophy on breeding dogs is not based solely on podium dogs but on proven producers. The genetics that the dog female or male has thrown is our criteria for a dog being breed-worthy. Some of the world’s greatest producers weren't podium dogs themselves. We cater to working homes and our program brings multiple experience in our selections. Marlene Wiggins is part of our selection team with thirty five years’ experience in working line German Shepherd Dogs. We have produced WUSV dogs from our small program as well. Our puppies are socialized and evaluated from weaning until placed. We import green dogs as well as titled dogs at the fairest prices from Europe. Our customers have been pleased with the quality with feedback from many Schutzhund clubs. We strive to restore the German Shepherd Dog with impeccable nerve base, good orthopedics and extreme drives. The careful selection process that our team adheres to has produced many prospective top sport puppies. We offer in-house training, outside stud service to selective females with our approval. We have the greatest passion and goals in putting out the highest quality German Shepherd Dogs at Alabama Canine. We hope you consider us when looking for a quality import or a puppy. We try and sort the puppies for the expectations of what our clients want in a working puppy. Our puppies are fully guaranteed for any genetic faults with contract. We welcome visitors to the facility year-round. Call to find out more: 205.344.2125.
overnight stays as your dog is in training. 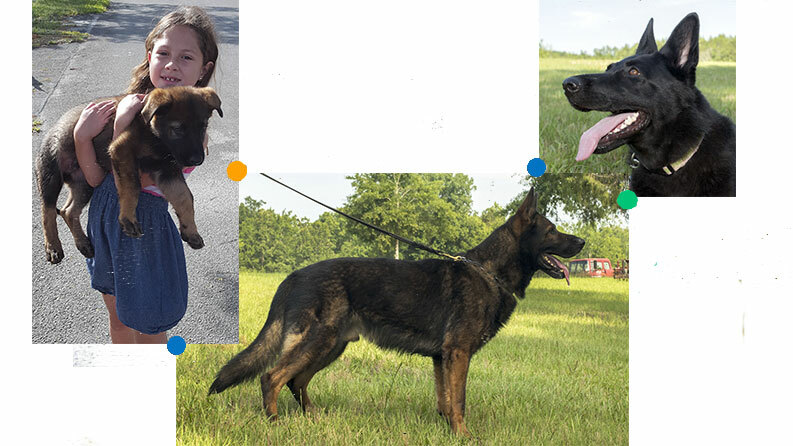 Over 100 years’ experience providing highest quality German Shepherds from top rated bloodlines. Hand-picked and trained by our professionals. Looking for a German Shepherd from top quality bloodlines? An elite level German Shepherd for K9 sport? We have the dog for you. Click below to see our breeding class dogs and upcoming litters. For anyone looking for an elite German Shepherd dog, it can be challenge to find a quality, ethical, German Shepherd breeder. 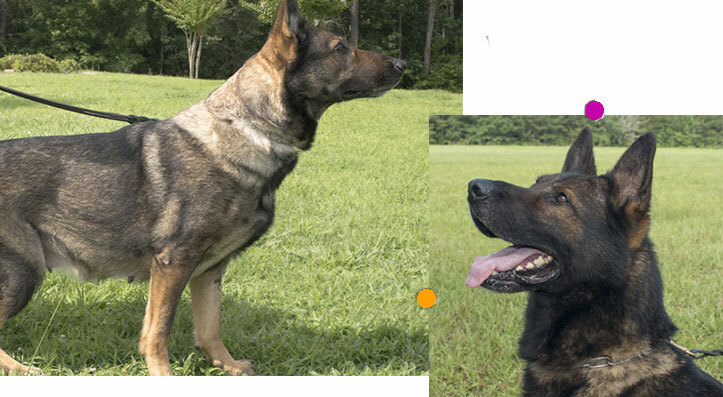 At Alabama Canine, we have decades of experience breeding, importing and training only the best German Shepherd dogs. We screen every German Shepherd with rigorous health checks and provide full documentation and verification of all certifications and bloodlines for all of our German Shepherd puppies and adult German Shepherd dogs. We recognize we aren’t just selling you a German Shepherd dog, we are providing you with a best friend, your favorite family member, and a vigilant, skilled protector. All of our dogs are hand selected, health tested and professionally trained, all contributing to their status as elite level dogs. We breed and train dogs on-site and we import green dogs and titled dogs from Europe. All of our dogs are carefully selected before breeding to ensure the highest quality in the litters. Alabama Canine - provider of Elite German Shepherd dogs.